Cheap last minute flights to Mexico: Cancun for €294! 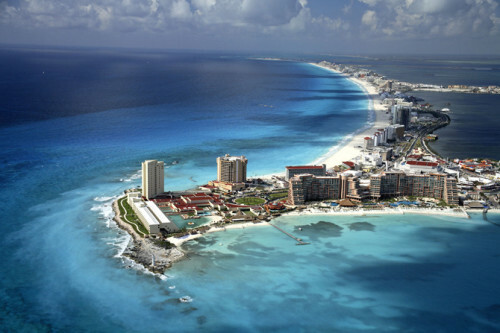 UPDATE 10.6.: LTUR now offers cheap flights from Brussels to Cancun in Mexico for only €294! 20 kg luggage included, fixed dates 12.-19.6., book here, check screenshot! Jetairfly now offers cheap flights to Mexico. 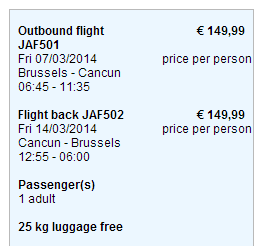 Return flights from Brussels to Cancun are available for €300. There is €30 booking free which is spread among all persons in the reservation so if you travel in group of 4 it makes something around €7 per person. 25 kg luggage is included. « Cheap flights to Iceland: Reykjavik from Germany for €139!